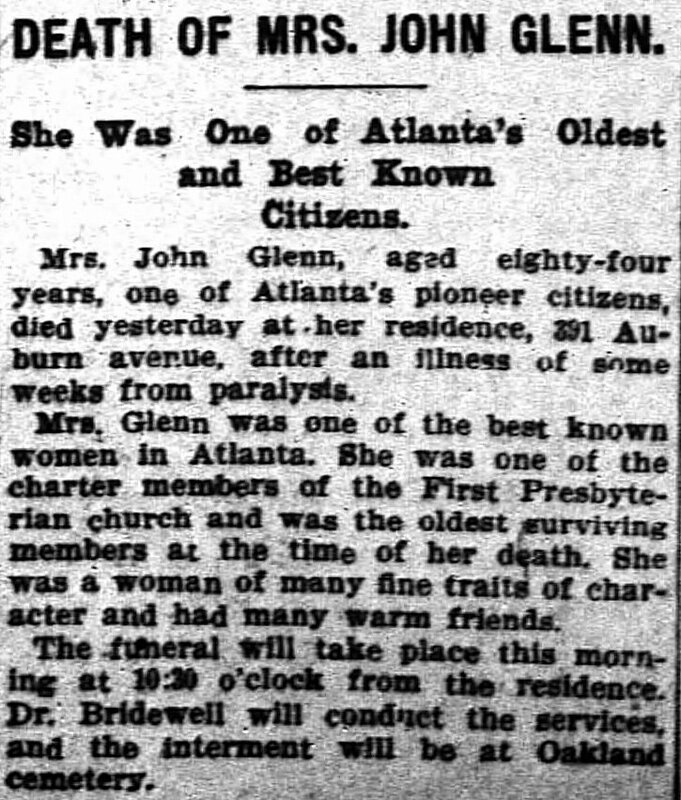 She Was One of Atlanta's Oldest and Best Known Citizens. 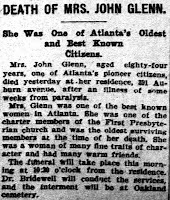 Mrs. John Glenn, aged eighty-four years, one of Atlanta's pioneer citizens, died yesterday at her residence, 391 Auburn avenue, after an illness of some weeks of paralysis. Mrs. Glenn was one of the best known women in Atlanta. She was one of the charter members of the First Presbyterian church and was the oldest surviving members at the time of her death. She was a woman of many fine traits of character and had many warm friends. The funeral will take place this morning at 10:30 o'clock from the residence. Dr. Bridewell will conduct the services, and the interment will be at Oakland cemetery." 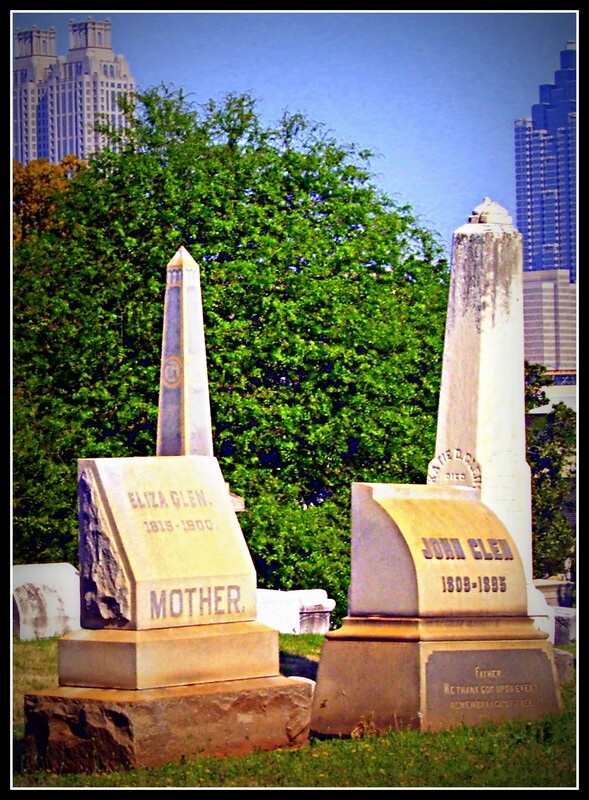 Eliza, born in 1815, rests beside her husband. John was born in 1809, and died in 1895.